Researchers from the University of Southampton have received a US$100,000 grant from the Bill & Melinda Gates Foundation. The team, led by microbiologist Dr Jeremy Webb, was awarded funding to design new vaccines that will give protection against the bacteria that cause pneumonia and meningitis. Dr Webb’s project is one of 76 grants announced by the Gates Foundation in the third funding round of Grand Challenges Explorations, an initiative to help scientists around the world explore ways to improve health in developing countries. The grants were provided to scientists in 16 countries on five continents. 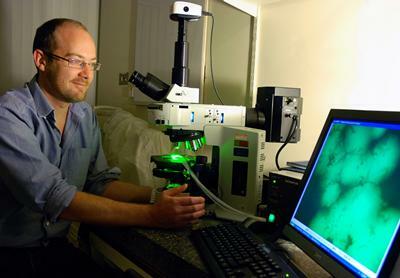 Researchers at University of Southampton’s Schools of Biological Sciences and Medicine, working with colleagues at the University of Bristol and the Liverpool School of Tropical Medicine, aim to create vaccines to stop bacteria ganging together and forming a defence layer, or ‘biofilm’, against antibiotics and the body’s immune system. By targeting biofilms, researchers hope to reduce the mortality associated with meningitis and pneumonia. The study is called: “New whole-species pneumococcal vaccines.” Dr Jeremy Webb will be working alongside Saul Faust, Stuart Clarke, Luanne Hall-Stoodley, Jo Jefferies from the University of Southampton, Robert Heyderman from the Liverpool School of Tropical Medicine and Adam Finn from the University of Bristol. US$100,000 equates to approximately £61,000.